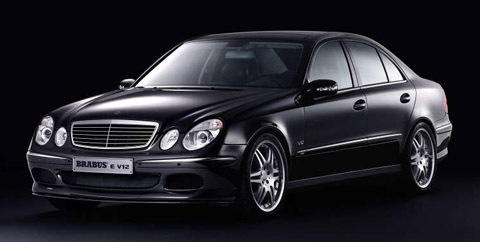 The 2003 Brabus E V12 is a high performance four seater car. 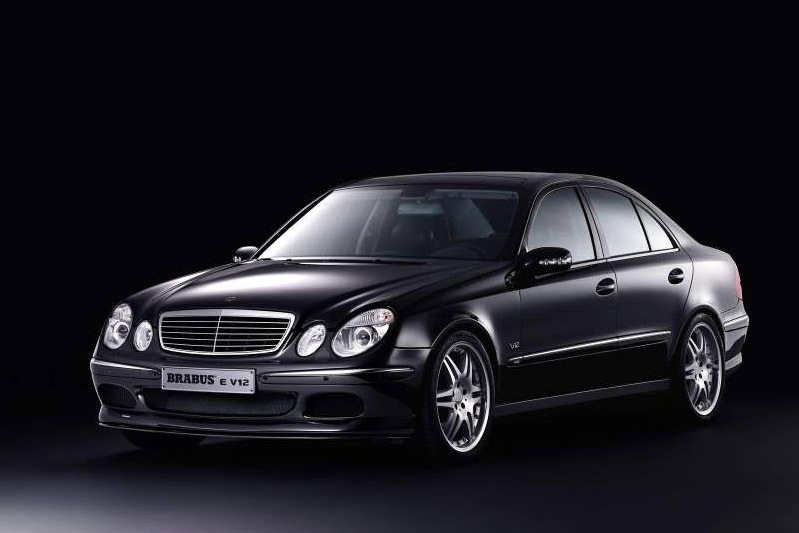 The Brabus E V12 was first displayed at the Frankfurt Motor Show in the year 2003 and it was built based on W 210 series. The Brabus E V12 consists of a 6.3 L BiTurbo V8 engine with stainless steel exhaust system, cylinder heads, engine electronics and increased bore and stroke size. The capacity of the engine is 6300 cc; it delivers an output power of 640 bhp at 5100 rpm and 756.7 lb-ft torque at 1750 rpm. The Brabus E V12 reaches the speed of 60 mph in 4.1 seconds and the top speed is about 211.3 mph. The Brabus E V12 features five speed automatic transmission and the gear shifts can be done easily at higher speeds. The Brabus E V12 features 19-inch Monoblock light alloy wheels wrapped with specially designed Michelin tires. These front tires measures 255/35 ZR and the rear tires measure 285/30 ZR. The wheels features ceramic discs with 12-piston aluminum calipers on the front wheel and 6-piston aluminum calipers on the rear wheels. The Brabus E V12 features anti braking system and electro hydraulic SBC brake system that ensures better handling of the car at higher speeds. The exteriors feature LED and entrance lights. The interiors are mostly finished in Alcantara and Mastik leather and it features leather seats, sporty steering wheel, air bags, and air conditioning system.